In some cases of poorly-executed ETS surgery, patients can be unhappy with their results and want to reverse the effects. One main reason for wanting ETS reversal could be the ETS side effect of compensatory sweating. 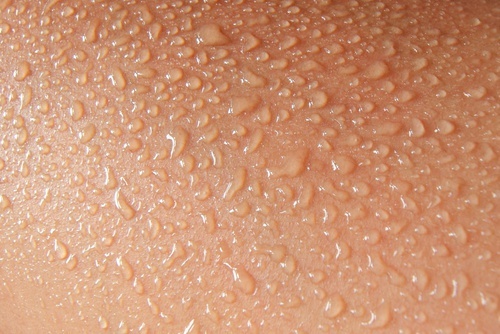 After ETS surgery, there is an opportunity for the onset of compensatory sweating, a condition when patients may develop sweating in areas where they previously had not experienced sweating. These areas could include the abdomen, legs, thighs or other areas of the body. When Do People Need ETS Reversal? Reversing of ETS is very controversial. If ETS surgery is done correctly initially, the need for ETS reversal is exceedingly rare. A few reasons why ETS reversal may be needed today is due to older surgery methods implemented in the past that caused severe compensatory sweating. In the early years, when our understanding of sympathetic nerve physiology and the results of ETS was yet unknown, many patients underwent aggressive ablative procedures, whereby the sympathetic nerves from T2 to T5 were destroyed, and unfortunately, a significant number of patients developed severe compensatory sweating – sweating that occurs in other locations on the body. Looking to provide relief for this devastating complication, different surgical strategies developed, because there isn’t any effective medical therapy for severe compensatory sweating. One idea was to place a piece of nerve harvested from beneath the skin behind the ankle between the two ends of the divided sympathetic nerve. This operation has been proven to be ineffective for reversing compensatory sweating. Several centers around the world continue to perform this procedure, at great cost to patients, yet there is no conclusive authoritative data to support this practice. It is this poor reversal method that ignites great controversy over the efficacy and safety of ETS reversal. The concept of nerve clamping evolved as a possible strategy to allow ETS reversal should a patient develop severe post-operative compensatory sweating. Theoretically because the sympathetic was left intact, and dysfunctioned by placing a micro-clamp across it, removal of the clamp would allow the nerve to regenerate, and reverse the symptoms of compensatory sweating. Initial scattered reports of reversal after clamp removal were favorable, and guidelines regarding timing of clamp removal after ETS were developed. As more reports of reversal were published, its become apparent that ETS reversal after clamp removal is unpredictable. At our center, the need for clamp reversal is very rare. Patients with palmar hyperhidrosis are only offered ETS if they have severe symptoms that fail to respond to medical therapy or other conservative methods. We do not perform ETS for armpit, facial or plantar sweating, and therefore we are less likely to have patients with poor outcomes, who are dissatisfied with their results. We also perform only T3 sympathectomy, which has been shown to result in much less frequent and severe compensatory sweating. Despite a general consensus that ETS-T3 is the best procedure for palmar hyperhidrosis, there are still institutions where surgeons perform more extensive radical sympathectomies, resulting in a far greater incidence of compensatory sweating. Before considering ETS for palmar hyperhidrosis, it is important to try non surgical remedies first to see if satisfactory results can be achieved. ETS is a very long-lasting and life changing procedure. When performed for the correct indications, by well experienced surgeons the results are outstanding, and the need for reversal is very rare. If you experience debilitating side effects from a poorly executed ETS surgery, our doctors can help you find relief through ETS surgery reversal. For more information on ETS surgery reversal, compensatory sweating, and other procedure specifics, contact our office at 212-342-1354 and book a consultation with us today.